In just a couple of weeks, our Audiokinetic GDC team will be flying to San Francisco for the Game Developers Conference to meet many of our friends, and to make some new ones! As with every year, we’re very excited and looking forward to demoing a variety of new and upcoming Wwise features, as well as company projects put into motion to continue with our mission towards empowering the interactive audio community. Many of the Wwise features we will be demoing have yet to be announced and are planned for our next major release, Wwise 2018.1 . You'll need to come to our booth or wait until after GDC to get the entire scoop, but here's a short list of some highlights we will be demoing. With currently more than 400 distinguished AR/VR projects shipped or in development using Wwise, spatial audio and everything that involves creating the best tools for sound designers working in this space is something we are very passionate about! 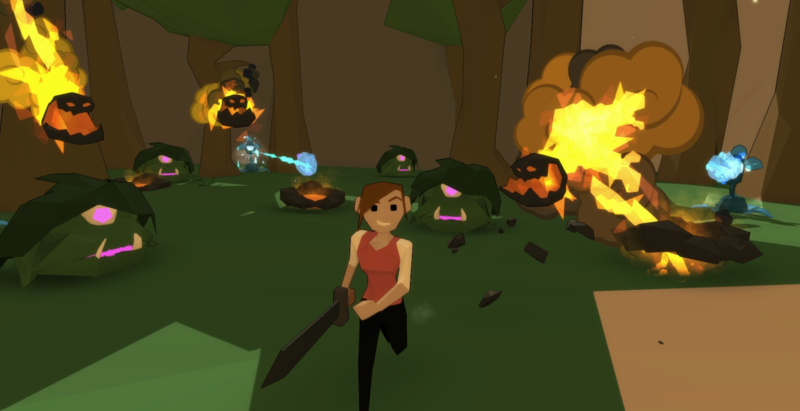 In fact, Audiokinetic has been supporting VR game development since 2014, and our unique approach to spatial audio enables sound designers and interactive audio professionals to create immersive worlds using their individual artistic aesthetics. Through core engine development and industry collaborations, Audiokinetic has empowered the community’s early adopters and continues to build on its comprehensive pipeline towards an all-encompassing yet flexible spatial audio workflow. Our Wwise Spatial Audio team will be demoing Rooms & Portals, high-level geometry abstractions which allow sound propagation of emitters located in other rooms to be efficiently modeled. 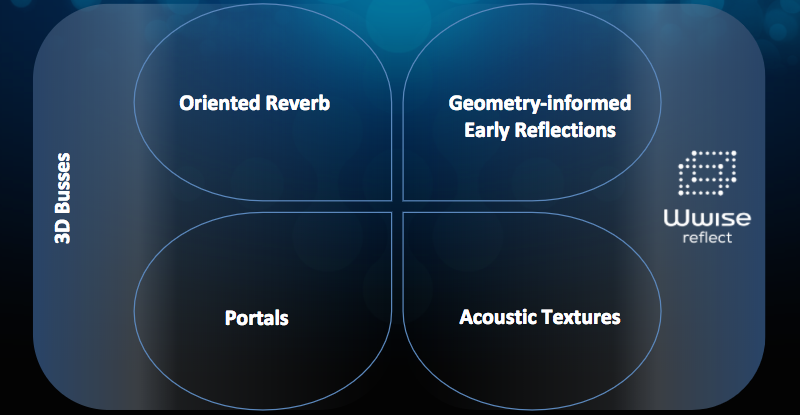 The main features of room-driven sound propagation are diffraction, coupling, and spatialization of reverbs. Our newest plug-in, Wwise Reflect, has been getting a lot of attention, and its adoption has been way beyond what we had expected! If you haven’t had a chance to play around with it yet, we can show you how this geometry-informed plug-in dynamically renders early reflections based on the proximity of the listener/emitter to reflective surfaces, such as walls, ceilings, and floors. Wwise Reflect not only enhances immersion and the sense of space, but also brings out variety and naturalness from limited audio assets by blending them with a dynamic environment. A new Ambisonics 3D Meter will allow users to visualize the sound field. More & More Composers Are Learning Wwise for its Interactive Music System! We have always said that some of our super users may perhaps know Wwise more than we do! Over the course of last year, we were impressed time and again with how composers have been using Wwise for interactive music, and how clever and creative many of their approaches have been. Interactive Music is still in its infancy, but we have noticed that many more are exploring how they can imagine music like it has never been experienced before. Composers from various mediums who are happy DAW users are discovering how they can incorportate interactivity into their creative works, using Wwise. In Wwise 2018.1, we will be introducing even more Wwise Interactive Music System features that empower composers. One of many, Custom Cues can post Events to trigger anything in your Wwise project. While we have made plenty of little enhancements here and there to ensure that Wwise users are both efficient and happy at all times, we can finally confirm the rumor: Wwise has a new dark UI...no, we're not joking. So, you can now take those sunglasses off, but if you enjoy working with our bright classic look, you can do that too! With Wwise 2018.1, you will be able to color code any object in Wwise, making it much easier to stay organized, and in accordance with how your brain works! A contextual Property Help view will be available with 2018.1, and in four languages! English, Japanese, Chinese, and Korean! Not sure about something in Wwise ? Click to learn, it's as easy as that! 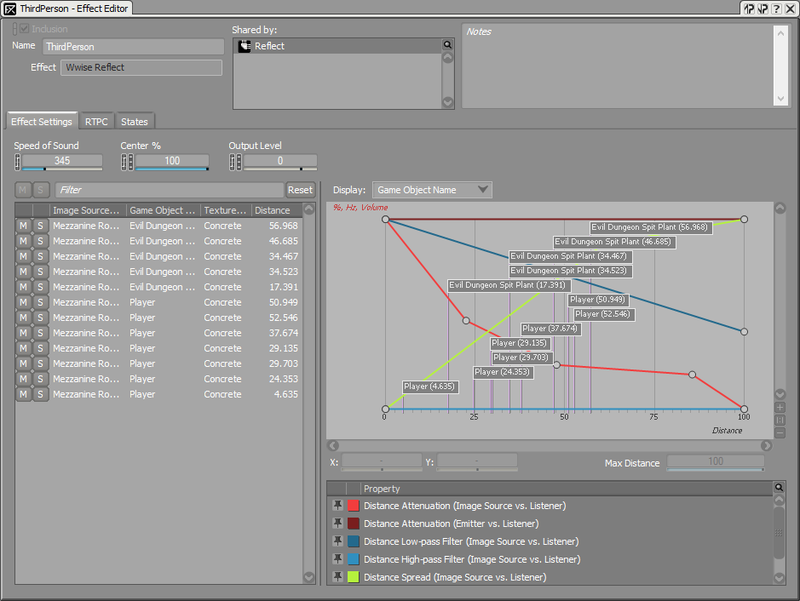 Wwise Unreal Integration - Sequencer - The Sequencer integration supports scrubbing forwards and backwards over AkAudioEvent tracks. Community Developers Can Soon Feature Plug-ins & Applications on the Audiokinetic Store! In line with our philosphy to empower the interactive audio community, and our commitment to Wwise users and community developers around the world, we are very proud to announce that we will very soon be launching the Audiokinetic Store! We have always been supportive of developers creating Wwise-integrated plug-ins and applications and open to sharing our technology. With the launch of WAAPI just over a year ago, developers were even more empowered to create plug-ins and applications tailored to their most specific needs. Soon, developers will also have the option to apply and submit their Wwise-integrated plug-ins to join the Audiokinetic Community Partner Program. Approved plug-ins and applications will have a platform to feature and sell to Wwise users via the Audiokinetic Store, and Wwise users will also greatly benefit, as they find specialized plug-ins for Wwise they may be looking for, much more easily! We hope that by continuing to share the Audiokinetic platform more openly with the community, we can create more and more opportunites for everyone in the interactive audio industry! Already, we're proud to welcome our first Community Plug-in to the program! Polyspectral MBC is an efficient, transparent multiband compressor plug-in, carefully designed for real-time mastering of a game's audio mix. Since its introduction with Wwise 2017.1, WAAPI has had very good reception amongst software developers. 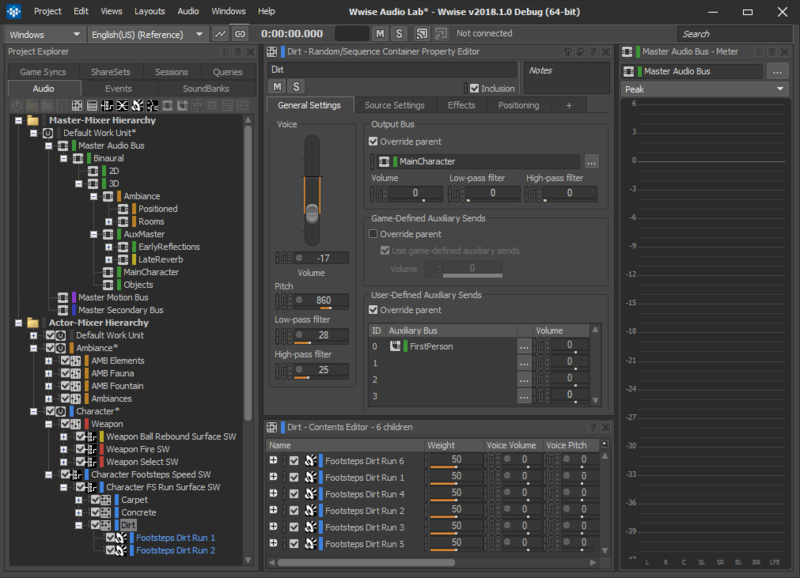 We have seen Wwise integrations built for REAPER and Soundminer, and game studios have also started to use WAAPI alongside their in-house tools, including game engines, build pipelines, and other systems. At Audiokinetic, we also started to use it within our own Unreal integration, making it accessible via Blueprints and native Unreal controls. Here is an example of WAAPI put into action! With almost 200 certified and licensed schools around the world teaching Wwise, as well as thousands of independent students learning Wwise via Audiokinetic's online certifications, the Wwise-101: Wwise Fundementals and the Wwise-201: Interactive Music, we are launching a new UI for our online Wwise Certifications very soon. We hope this makes learning Wwise even more enjoyable and we're looking forward to launching more courses tailored to the needs of our evolving industry! 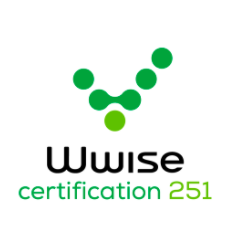 We've launched a new certification, the Wwise-251 Certification: Performance Optimization & Mobile Considerations. This certification focuses on performance optimization for varous types of projects and audio budgets, including considerations for mobile optimization. It targets more advanced users who will be able to apply what they learn using the Wwise Adventure Game as their testing playground. We started building the Audiokinetic Blog about a year and half ago, and while we wanted to focus on quality vs. quantity, it's certainly growing in both content and popularity at a pace we could not have anticipated! Passionate about providing the interactive audio community with both a resource to learn and get inspired, and a platform to feature their amazing work and stay connected, today we have more than 50 contributors and 25k+ engaged subscribers from around the world! This year, we are starting to build the Audiokinetic Video Channel, which will serve the community in a very similar way to blogs, but with video! We already have more than 150 videos on Wwise by Audiokinetic, and there are another 150 community videos that we know of! So, if you're making videos about interactive audio, or sharing Wwise tips and tools via YouTube, or if you're a developer sharing videos about your Wwise plug-in, let us know, and we'll be so happy to add your videos to our interactive audio channel! 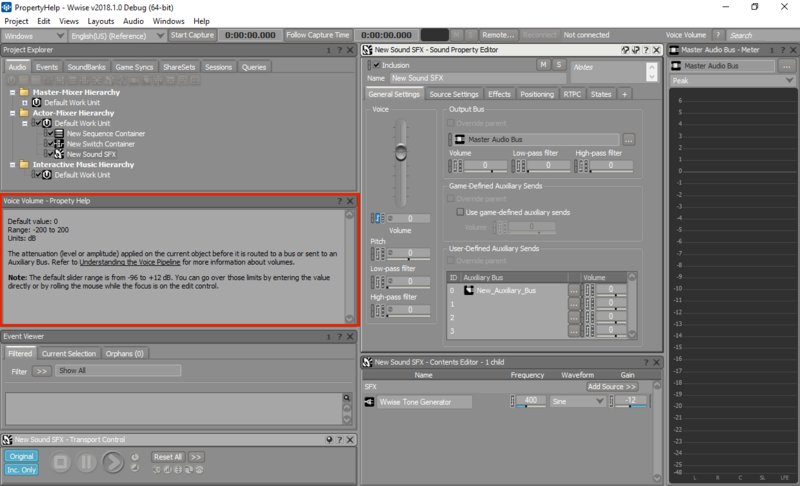 Nuendo 8 - THE GAME DAW is going interactive! Join us for some great game audio and tech talk! We look forward to seeing you at GDC 2018! The Wwise-201 Certification for interactive music, is now live!